Simple and elegant waterproof Mac, a lightweight PVC rain coat with hood. 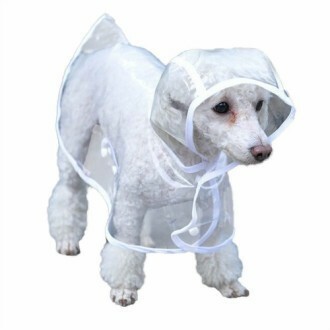 The Bunty clear PVC dog coat will protect your dog from the harsh elements. Simple and easy to fit, simply fasten with press studs under dogs waist. Made from a waterproof PVC which is hard wearing and can be easily wiped clean. Complete with hood to protect head.